NOTE: The zombie dragons previously featured here are now part of my Pay What You Want DMs Guild product Arachnids, Wraiths, & Zombies. It’s time for part eight of the prison for dragons series! 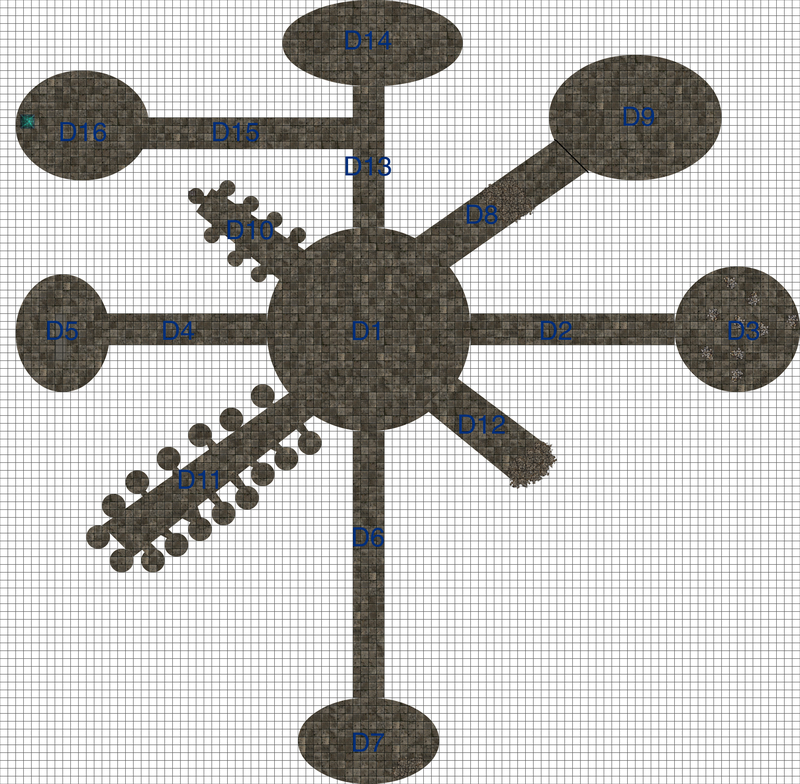 If you’ve been following these posts than you know that the dungeon I’m building in each entry is inspired by last month’s RPG Blog Carnival theme, “Unusual Dungeons,” which was chosen by Nils Jeppe of Enderra. Now it’s time for Part VIII – monster stats! That means in this post I’m going to show you some monsters I needed to create for the adventure because they don’t exist in any of the published material for fifth edition Dungeons and Dragons. Well, not yet anyway (to my knowledge). So read on below to get the statistics for an adult silver dracolich, an ogre chieftain, an ogre skeleton, an oni vampire, or all age categories of zombie dragons, read on below. Yes, I did put it all into a handy, dandy PDF for you! Speed 40 ft., climb 30 ft. Keen Sight and Smell. The great bear has advantage on Wisdom (Perception) checks that rely on sight or smell. Magic Resistance. The great bear has advantage on saving throws against spells and other magical effects. Multiattack. The great bear makes two attacks: one with its bite and one with its claws. Bite. Melee Weapon Attack: +9 to hit, reach 10 ft., one target. Hit: 17 (2d10 + 6) piercing damage. Claws. Melee Weapon Attack: +9 to hit, reach 5 ft., one target. Hit: 13 (2d6 + 6) slashing damage. Innate Spellcasting. The dracolich’s innate spellcasting ability is Charisma (spell save DC 18). The dracolich can cast the following spells, requiring no material components. Legendary Resistance (3/day). If the dracolich fails a saving throw, it can choose to succeed instead. Magic Resistance. The dracolich has advantage on saving throws against spells and other magical effects. Multiattack. The dracolich can use its Frightful Presence. It then makes three attacks: one with its bite and two with its claws. Bite. Melee Weapon Attack: +13 to hit, reach 10 ft., one target. Hit: 19 (2d10 + 8) piercing damage. Claws. Melee Weapon Attack: +13 to hit, reach 5 ft., one target. Hit: 15 (2d6 + 8) slashing damage. Tail. Melee Weapon Attack: +13 to hit, reach 15 ft., one target. Hit: 17 (2d8 + 8) slashing damage. Frightful Presence. Each creature of the dracolich’s choice that is within 120 feet of the dracolich and aware of it must succeed on a DC 18 Wisdom saving throw or become frightened for 1 minute. A creature can repeat the saving throw at the end of each of its turns, ending the effect on itself on a success. If a creature’s saving throw is successful or the effect ends for it, the creature is immune to the dracolich’s Frightful Presence for the next 24 hours. Breath Weapons (Recharge 5-6). The dracolich uses one of the following breath weapons. Cold Breath. The draolich exhales an icy blast in a 60-foot cone. Each creature in that area must make a DC 20 Constitution saving throw, take 58 (13d8) cold damage on a failed save, or half as much damage on a successful one. Paralyzing Breath. The dracolich exhales paralyzing gas in a 60-foot cone. Each creature in that area must succeed on a DC 20 Constitution saving throw or be paralyzed for 1 minute. A creature can repeat the saving throw at the end of each of its turns, ending the effect on itself on a success. Change Shape. The dracolich magically polymorphs into an undead that has a challenge rating no higher than its own, or back into its true form. It reverts to its true form if it dies. Any equipment it is wearing or carrying is absorbed or borne by the new form (the dracolich’s choice). In a new form, the dracolich retains its alignment, hit points, Hit Dice, ability to speak, cast spells, proficiencies, Legendary Resistance, Magic Resistance, lair actions, and Intelligence, Wisdom, and Charisma scores, as well as this action. Its statistics and capabilities are otherwise replaced by those of the new form, except any class features or legendary actions of that form. The dracolich can take 3 legendary actions, choosing from the options below. Only one legendary action option can be used at a time and only at the end of another creature’s turn. The dracolich regains spent legendary actions at the start of its turn. Detect. The dracolich makes a Wisdom (Perception) check. Tail Attack. The dracolich makes a tail attack. Wing Attack (Costs 2 actions). The dracolich beats its wings. Each creature within 10 feet of the dracolich must succeed on a DC 21 Dexterity saving throw or take 15 (2d6 + 8) bludgeoning damage and be knocked prone. The dragon can then fly up to half its flying speed. On initiative count 20 (losing initiative ties), the dracolich takes a lair action to cause one of the following effects. The dracolich creates fog as if it had cast the fog cloud spell. The fog lasts until initiative count 20 on the next round. A blistering cold wind blows through the lair near the dracolich. Each creature within 120 feet of the dracolich must succeed on a DC 15 Constitution saving throw or take 5 (1d10) cold damage. Gases and vapors are dispersed by the wind, and unprotected flames are extinguished. Protected flames, such as lanterns, have a 50 percent chance of being extinguished. Infernal Legacy. Sepora has the ability to cast innate spells as a tiefling. Her innate spellcasting ability is Charisma (spell save DC 16). She can cast the following spells, requiring no material components. Magic Resistance. Sepora has advantage on saving throws against spells and other magical effects. Spellcasting. Sepora’s spellcasting ability is Intelligence (spell save DC 17, +9 to hit with spell attacks). Sepora can cast the following spells. Dagger. Melee or Ranged Weapon Attack: +6 to hit, reach 5 ft. or range 20/60 ft., one target. Hit: 4 (1d4 + 2) piercing damage. Multiattack. The ogre makes two attacks. Greataxe. Melee Weapon Attack: +8 to hit, reach 5 ft., one target. Hit: 18 (2d12 + 5) slashing damage. Javelin. Melee or Ranged Weapon Attack: +8 to hit, reach 5 ft. or range 30/120 ft., one target. Hit: 12 (2d6 + 5) piercing damage. Battle Cry (1/day). Each creature of the ogre’s choice within 30 feet that can hear it make an attack as a reaction. The ogre can ten make an attack as a bonus action. Greatclub. Melee Weapon Attack: +6 to hit, reach 5 ft., one target. Hit: 15 (2d10 + 4) bludgeoning damage. Javelin. Melee or Ranged Weapon Attack: +6 to hit, reach 5 ft. or range 30/120 ft., one target. Hit: 11 (2d6 + 4) piercing damage. Shapechanger. If the vampire isn’t in the sunlight or running water, it can use its action to polymorph into a Tiny bat, Medium cloud of mist, Small or Medium humanoid, Large giant, or back into its true form. While in bat form, the vampire can’t speak, its walking speed is 5 feet, and it has a flying speed of 30 feet. Its statistics, other than its size and speed, are unchanged. Anything it is wearing transforms with it, but nothing it is carrying does. It reverts to its true form if it dies. While in mist form, the vampire can’t take any actions, speak, or manipulate objects. It is weightless, has a flying speed of 20 feet, can hover, and can enter a hostile creature’s space and stop there. In addition, if air can pass through a space, the mist can do so without squeezing, and it can’t pass through water. It has advantage on Strength, Dexterity, and Constitution saving throws, and it is immune to all nonmagical damage, except the damage it takes from the sunlight. While in humanoid or giant form, other than its size the vampire’s statistics are the same in each form. The only equipment which transforms is its glaive, which shrinks so it can be wielded in humanoid form. If the vampire dies, it reverts to its true form, and its glaive reverts to its normal size. Innate Spellcasting. The vampire’s innate spellcasting ability is Charisma (spell save DC 14). The vampire can cast the following spells, requiring no material components. Legendary Resistance (3/day). If the vampire fails a saving throw, it can choose to succeed instead. Magic Weapons. The vampire’s weapon attacks are magical. Misty Escape. When it drops to 0 hit points outside its resting place (Sveja’s resting place is the trash pit in area C7), the vampire transforms into a cloud of mist (as in the Shapechanger trait) instead of falling unconscious, provided that it isn’t in sunlight or running water. If it can’t transform, it is destroyed. While it has 0 hit points in mist form, it can’t revert to its vampire form, and it must reach its resting place within 2 hours or be destroyed. Once in its resting place, it reverts to its vampire form. It is then paralyzed until it regains at least 1 hit point. After spending 1 hour in its resting place with 0 hit points, it regains 1 hit point. Regeneration. The vampire regains 20 hit points at the start of its turn if it has at least 1 hit point and isn’t in sunlight or running water. If the vampire takes radiant damage or damage from holy water, this trait doesn’t function at the start of the vampire’s next turn. Spider Climb. The vampire can climb difficult surfaces, including upside down on ceilings, without needing to make an ability check. Forbiddance. The vampire can’t enter a residence without an invitation from one of the occupants. Harmed by Running Water. The vampire takes 20 acid damage if it ends its turn in running water. Sunlight Hypersensitivity. The vampire takes 20 radiant damage when it starts its turn in sunlight. While in sunlight, it has disadvantage on attack rolls and ability checks. Multiattack (Vampire, Giant, or Humanoid form only). The vampire makes two attacks, only one of which can be a bite attack. Claws (Vampire form only). Melee Weapon Attack: +9 to hit, reach 5 ft., one target. Hit: 8 (1d8 + 4) slashing damage. Instead of dealing damage, the vampire can grapple the target (escape DC 18). Glaive (Vampire, Giant, or Humanoid form only). Melee Weapon Attack: +9 to hit, reach 10 ft., one target. 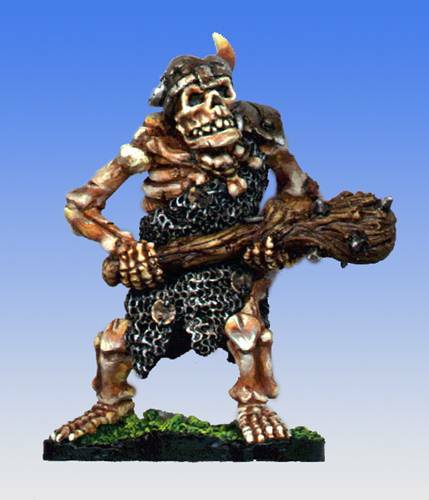 Hit: 15 (2d10 + 4) slashing damage, or 9 (1d10 + 4) slashing damage in Small or Medium human form. Bite (Vampire form only). Melee Weapon Attack: +9 to hit, reach 5 ft., one willing creature, or a creature that is grappled by the vampire. Hit: 7 (1d6 + 4) piercing damage plus 10 (3d6) necrotic damage. The target’s hit point maximum is reduced by an amount equal to the necrotic damage taken, and the vampire regains hit points equal to that amount. The reduction lasts until the target finishes a long rest. The target dies if this effect reduces its hit point maximum to 0. A humanoid or giant slain in this way and then buried in the ground rises the following night as a vampire spawn under the vampire’s control. Charm. The vampire targets one humanoid or giant it can see within 30 feet of it. If the target can see the vampire, the target must succeed on a DC 15 Wisdom saving throw against this magic or be charmed by the vampire. The charmed target regards the vampire as a trusted friend to be heeded and protected. Although the target isn’t under the vampire’s control, it takes the vampire’s requests or actions in the most favorable way it can, and it is a willing target for the vampire’s bite attack. Each time the vampire or the vampire’s companions do anything harmful to the target, it can repeat the saving throw, ending the effect on itself on a success. Otherwise, the effect lasts 24 hours or until the vampire is destroyed, is on a different plane of existence than the target, or takes a bonus action to end the effect. Children of the Night (1/day). The vampire magically calls 2d4 swarms of bats or rats, provided that the sun isn’t up. While outdoors, the vampire can call 3d6 wolves instead. The called creatures arrive in 1d4 rounds, acting as allies of the vampire and obeying its spoken commands. The beasts remain for 1 hour, until the vampire dies, or until the vampire dismisses them as a bonus action. The vampire can take 3 legendary actions, choosing from the options below. Only one legendary action option can be used at a time and only at the end of another creature’s turn. The vampire regains spent legendary actions at the start of its turn. Move. The vampire moves up to its speed without provoking opportunity attacks. Claw. The vampire makes one claw attack. Bite (Costs 2 actions). The vampire makes one bite attack. As I mentioned up top you can take all these monsters home with you today for free by clicking on the PDFs below or you can just grab them all, plus a whole host of other baddies in the Exploration Age Bestiary PDF. If you want to grab this PDF at a later date, it will live in the Free Game Resources section of this site along with D&D fifth edition rules modules, backgrounds, spells, magic items, and more. I sit down with Joe Lastowski, Topher Kohan, and Sam Dillon to talk about the Unearthed Arcana Waterborne Adventures article. This podcast was recorded May 24, 2015. I sit down with Susan J. Morris, author and editor of numerous Dungeons and Dragons novels and the designer of the Heroes of Hesiod RPG for kids. This podcast was recorded on May 12, 2015. Hey everyone! I’m taking a quick break from the Prisons for Dragons series to give you a timely article about diseases which is a companion piece for an article I wrote which was just published by the amazing team over at EN World EN5ider. I know you’ve been thinking, “James, what about diseases? The fifth edition Dungeons and Dragons Dungeon Master’s Guide has only three sample diseases for my game and almost no information about how to craft my own. Will you please help me?” Of course, my friend. Of course. Recently I was fortunate enough to have another article published in EN World EN5ider, an online magazine which publishes content for the fifth edition of the world’s most popular tabletop roleplaying game. Included in my article is a lot of advice from me about creating your own diseases and six more sample diseases to add to your game (bottle fever, demonic plague, itching insides, ooze decay, touch of aberrations, and walking rot). This post is a companion piece of my article, “Get Sick.” If you like the rest of this post, go check out the article on EN5ider. I have to say, if you’re playing fifth edition and craving more content, EN5ider is a great place to get it. I’m not just saying that because I’ve now written for them twice. You get one short adventure a month plus another three articles with advice on running chases, new druid circles, creating puzzles, and so much more. You get all that for $2 a month. If you don’t want the adventure, you can still score the articles for $1 a month. That’s less than a bottle of water in most places. The articles are of a great quality and EN World creator, Russ Morrissey, writes several of the best articles. You can grab some sample articles and an adventure for free so check it out. Okay, plug over. Onto some more sample diseases! Last year I wrote a post about The Underdark in Exploration Age. Amongst the many hazards Canus’s underground caverns have to offer, one of the most dangerous is diseases. The diseases I created were based on the rules presented in the final D&D Next Playtest packet. Now that we have all the core rule books for fifth edition of Dungeons and Dragons, it’s time to update these little infectious wonders and add to what’s already in the Dungeon Master’s Guide. The diseases below are meant to be used in The Underdark of an Exploration Age game, but can be added to any Dungeons and Dragons game at the DM’s discretion. The mushrooms of The Underdark are mostly harmless, but there are those that should be avoided. None more so than the green-spotted murder mushrooms. Humanoids breathing in the spores this fungi risk having them attach to their brains. From there the mushrooms grow within a victim’s skull, slowly reducing mental and physical faculties. If a humanoid creature breathes in the spores it must succeed on a DC 14 Constitution saving throw or contract mushroom mind. In 1d4 days the first symptoms appear. An infected creature begins to bald and green spots start appearing on their scalp similar to those on the murder mushrooms. Roll 1d6 on the Mushroom Mind Ability Score Damage table to see how much of which ability score is reduced for the creature. The ability score damage cannot be recovered in any way until the creature recovers from the disease. At the end of each extended rest roll another 1d6 to determine more ability score loss. If one of the infected creature’s ability scores is reduced to 0, the creature dies. Mushroom mind can be cured with the rare, purple-spotted relba mushroom which grows only on the graves of illithids. A character with proficiency in an herbalism kit who has the kit and 3 ounces of relba mushrooms can spend 1 hour to create one dose of a special elixir. An infected creature who drinks the elixir has the disease is cured at the end of its next long rest. Its ability score damage remains, but can be healed with a restoration spell once the disease is cured. 1 Reduce infected creature’s Strength score by 1d4. 2 Reduce infected creature’s Dexterity score by 1d4. 3 Reduce infected creature’s Constitution score by 1d4. 4 Reduce infected creature’s Intelligence score by 1d4. 5 Reduce infected creature’s Wisdom score by 1d4. 6 Reduce infected creature’s Charisma score by 1d4. When adventurers sleep in the open Underdark at night, they would be wise to plug their noses. Brown slugs called drunkbugs are known to crawl into sleeping victims’ noses and travel down their throats into their stomachs. These slugs attach themselves to the lining of the stomach and secret alcohol, thus intoxicating the victim. The victim also produces an excess of mucus which is colored brown, hence the name of the disease. If a drunkbug crawls into a creature’s stomach, it must succeed on a DC 13 Constitution saving throw or contract slug snot. In 1d4 hours the first symptoms appear. For the duration of the disease the infected creature is poisoned. After 3d4 days of infection the disease the creature dies from alcohol poisoning and the drunkbug lays its eggs in the stomach of the corpse. At the end of each long rest, the drunkbug relaxes its grip on the infected creature’s stomach and the target is allowed a new DC 13 Constitution saving throw. If the creature succeeds it vomits up the drunkbug and the disease is cured. There are special patches of phosphorescent, psionic paritutu mold which grow only in the deepest tunnels of The Underdark. Breathing in the paritutu spores causes wasting away which rapidly ages its victims. Elves and dragons are immune to this disease. A creature who breathes in the spores must succeed on a DC 15 Wisdom saving throw or contract wasting away. In 1d4 days the first symptoms appear. The creature’s veins glow in the dark and it ages one year. At the end of each long rest an infected creature must make a DC 15 Wisdom saving throw. If the creature fails it ages one year. If the creature fails three of these saving throws it automatically ages 1 year at the end of every long rest and the disease can only be cured with a wish spell. If it succeeds on three of these saving throws the disease is cured, but the creature remains aged. This horrifying disease targets intelligent creatures and is caused by breathing in a magical mist created by The Void. Victims of the disease begin to forget who they are as do the people associated with the infected creature. By the end of the disease it is as the infected creature never lived and then it literally phases out of existence. Troglodytes are immune to this disease. Those who breathe in the mist must succeed on a DC 15 Charisma saving throw or contract wiped away. In 1d4 days the first symptoms begin to appear. The creature suffers level 1 of the wiped away, described on the Wiped Away Effects table. At the end of each extended rest an infected creature must make a DC 15 Charisma saving throw. Creatures who fail gain one level of the disease. The creature suffers from the effect of its current level of wiped away as well as the effects of all levels below its current level. If the creature succeeds its disease level is reduced by one. If the creature’s disease level is reduced below 1, the disease is cured. 1 Infected creature forgets all of its childhood. Others who have met the infected creature only once forget anything about the creature. 2 Infected creature forgets all of its adolescence. Others who have met the creature 10 times or less forget anything about the creature. 3 Infected creature forgets any passions and hobbies it has. The creature’s name and deeds disappear from all records. 4 Infected creature forgets all former romantic partners and lovers and vice versa. 5 Creature forgets all friends and family and vice versa. Creature forgets its own name. 6 Creature disappears in a puff of mists from The Void and no one remembers it ever existing. Scholars believe there is something beneath The Underdark called The Void. This space is actually no space at all. It is absolute nothingness. It has the absence of being. There are a few places in The Underdark which are open pits into The Void. Some nihilistic troglodyte clans worship The Void. They sacrifice victims by throwing them into nothingness and seek to end the pointlessness of existence by finding a way to set The Void free and swallow the world. Those who fall into The Void are never heard from again and cannot be raised from the dead by any means. Perhaps their soul is destroyed, they are alive somewhere within The Void, or transported somewhere else. If you want to take these diseases with you and put them into your game, use the PDF link below. Don’t forget to check out EN World EN5ider! I sit down with Joe Lastowski, Andrew Kane, and Vegas Lancaster to discuss the newly launched Dragon+ app and the results of the second D&D 5th Edition survey. This podcast was recorded on May 21, 2015.